Berlin's Komische Oper (Comic Opera) opened its 2018/19 season with some of the most successful productions of the previous season. Wolfgang Amadeus Mozart's Zauberfloete (Magic Flute) and Jerry Bock's Anatevka, which is better known as Fiddler On The Roof. On September 30th, the first opening of the season will follow with Die Tote Stadt (Dead City), Erich Wolfgang Korngold's famed sensation of the 1920’s. It represents the introduction of internationally renowned director Robert Carson to the staff of the Komische Oper, as well as the beginning of tenure for Musical Director Ainars Rubikis. 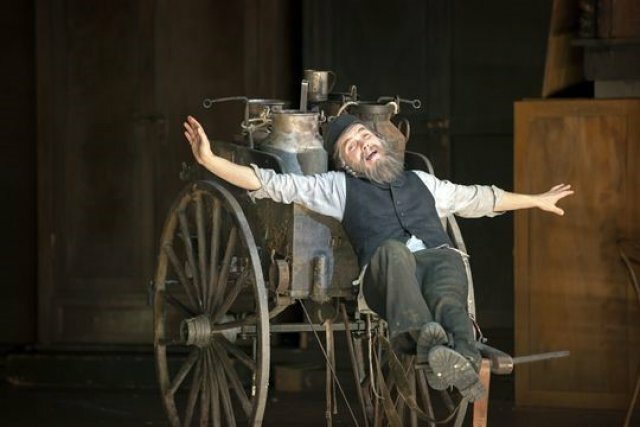 Barrie Kosky, the head of the Komische Oper and responsible for the Anatevka production succeeds in whatever he attemps to present at his house. Here we follow the well known story of Tevje (Max Hopp), the milkman, who lives with his family in the small Jewish 'shtetl' Anatevka. We follow the developments as his oldest three daughters rebel against tradition by marrying men they love, and where progroms shatter the traditional tranquility in the end. Scholem Alejem wrote the stories and Harold Prince made the musical famous with his New York City production. Then Walter Felsenstein had a great run at the Komische Oper during East German times, which lasted for 500 performances. 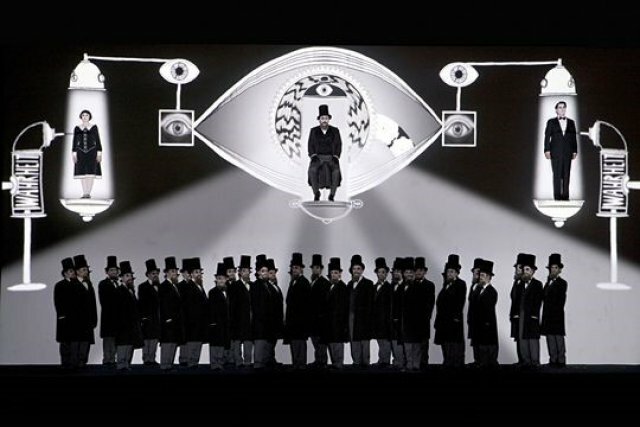 Now Kosky adapted it for the Komische Oper again. The production is close to his heart; his grandparents had to leave a Polish ‘shtetl’ to settle in Australia. As the applause showed, it touched the hearts of the audience as well. This Anatevka is well rounded, mostly realistic and not sentimental, convincingly staged by Rufus Didwiszus with some surprising attributes. The performers enter and leave the stage through cabinets that open and close. Cabinets are piled high as stage dividers, and cabinets double as a bed for Tevje and his wife Golde (Dagmar Manzel). At times the stage seems too small for all the happenings, e.g., when most residents of the ‘shtetl' look on to traditional dances during the wedding of the oldest daughter Zeitel (Talya Lieberman) to Mottel (Johannes Dunz). At other times, the stage setting is serene. 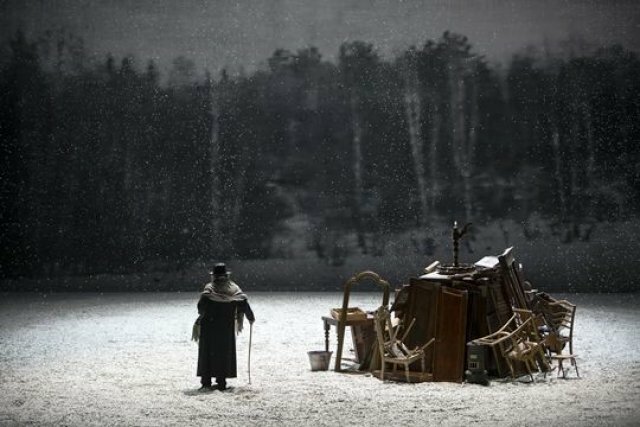 It impresses especially during the second act, as the loneliness and the loss for the citizens is wonderfully emphasized through constantly falling snow. Here Tevje pulls his milk cart to seemingly nowhere - to the unknown America. This scene reminds us of the fabled Mother Courage production by Berthold Brecht. He stops occasionally to say goodbye to his older daughters, to his town and to his life. Hopp creates a strong Tevje, convincing but almost too youthful for his role. His wife Golde shines as she gives her role a down to earth acceptance of life. 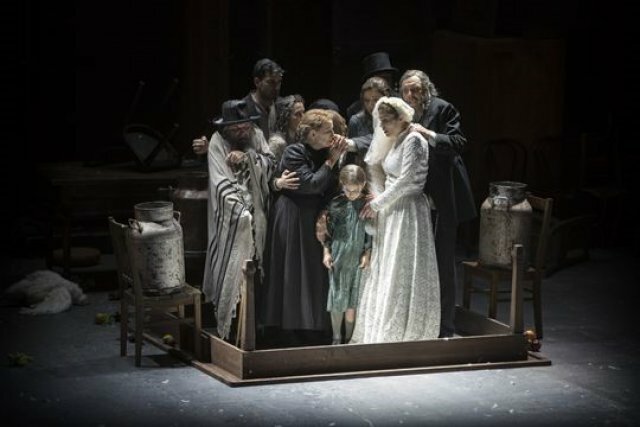 Although the musical Anatevka is stripped of saccharine sweetness, it remains a mostly a realistic performance. 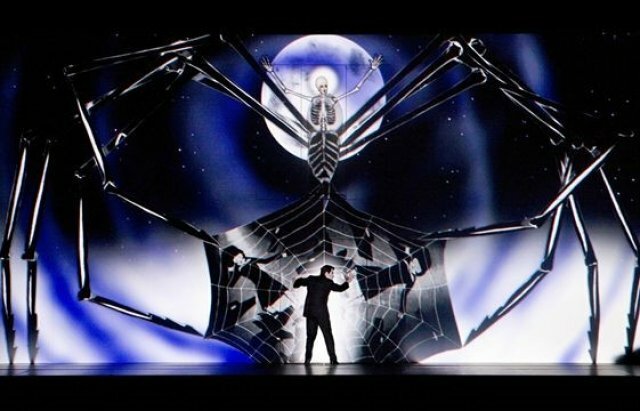 In contrast, Mozart's Die Zauberflöte stuns with its novel approach, combining film animations with live singing. 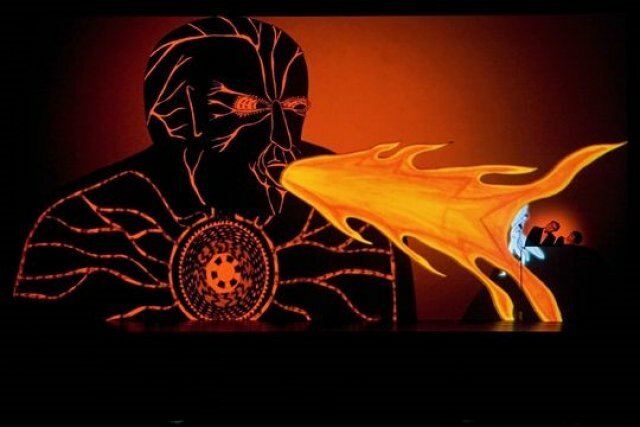 Paul Barritt's animations and Esther Bialas' staging and costumes remove almost all live actions from the stage and replace it with moving projections, where the singers get spot-lighted as they sing their arias. It works fabulously, relieving the singers from the double function of acting and singing. This approach was enthusiastically received by audiences and critics the world over. Again, Kosky together with Suzanne Andrade, dared to break the accepted norm and won the audience over. The story remains. Tamino (Adrian Strooper) gets his idealized Pamina (Alma Sadé), the daughter of the Queen of the Night (Nora Friedrichs) from the despot Sarastro (Andreas Bauer). Tamino's servant Papageno (Philipp Meierhoefer) finds his Papagena (Georgina Melville) and all is well. Outstanding in their singing were Nora Friedrichs as Queen of the Night and Alma Sadé as Pamina. Die Komische Oper is presenting lighter operas and musicals, where the other two opera houses of Berlin are specializing in ‘regular’ operas. It is always a treat to come to the Komische Oper, not ever having to fear disappointment. One can expect big productions with a live orchestra and a big chorus, all coming together in exuberant singing, dancing, and story-telling. It is helpful to know that there are simultaneous translations provided on a screen on the back of each seat.